Every young business can benefit from help and guidance at the start. If your business is launching a product that will improve education, research, or both, our 2019 edtech startups competition gives you the opportunity to win support and funding from industry experts. You have until 17:00 on Monday 21 January to make your pitch to us. We’re offering five businesses mentorships worth up to £10,000 from ourselves, Emerge Education and other industry experts. There's also the possibility of up to £5,000 funding and additional focused support worth £5,000. 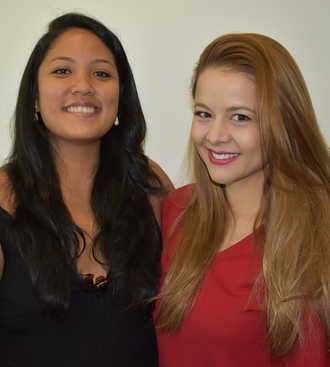 Lotis Bautista and Melissa Mitchell entered our startups challenge in January 2018, looking for support to grow their career volunteering platform, VOLO. They were attracted by the competition’s clear focus on the edtech sector and progressed through the two-stage selection process successfully. “The programme made us think carefully about what were doing and whether we could do it better. As a result, we’ve transformed many of our processes and learned more effective ways to deliver value to our university partners. Dr James Gupta and Omair Vaiyani were also among the 2018 edtech startup winners. While at medical school three years ago they developed a quiz-based app to help students with revision. Following success in our student ideas competition (the predecessor to the edtech challenge) the team focused on optimising the content for mobile. Now, one in four UK medical students rely on the app to help them revise. James and Omair are now working on the business full-time and they’ve expanded to offer bite-size training for businesses and their employees. Businesses use their personalised training platform, Synap, to create customised, bite-sized online training that staff can access on any device, at any time that suits them. “We took part in a series of themed workshops with six other startups which were at roughly the same development stage, exploring a range of business topics and this was really valuable. "It was essentially a virtual accelerator and it has helped us to scale up and plan the next stage of our development. It’s given us a solid grounding in business processes and introduced us to some key contacts who can help us as we grow. The edtech startups competition is the second element of our edtech launchpad programme, which also includes the edtech challenge for students with product ideas. Other previous startup winners have included the student finance platform Blackbullion and Placer, an app for finding work experience opportunities. “Our winners receive targeted mentoring and support from Jisc and Emerge Education so they can improve their businesses and get their products out into universities and colleges, where they will improve education and research. To take part, simply go to our edtech startups competition and submit a concise summary telling us what problem your product solves and who benefits. Include information on your business model, your team and a description of the product. You can also provide a short video pitch if you like. Shortlisted entrants will be invited to a speed pitch process at our showcase event, Digifest 2019, in March.